We often have frozen shrimp sitting in the back of the freezer somewhere. It’s often forgotten behind the marinated chicken breast or whole frozen fish. But, it really should be the star on those hectic nights for a healthy, quick and easy dinner option. 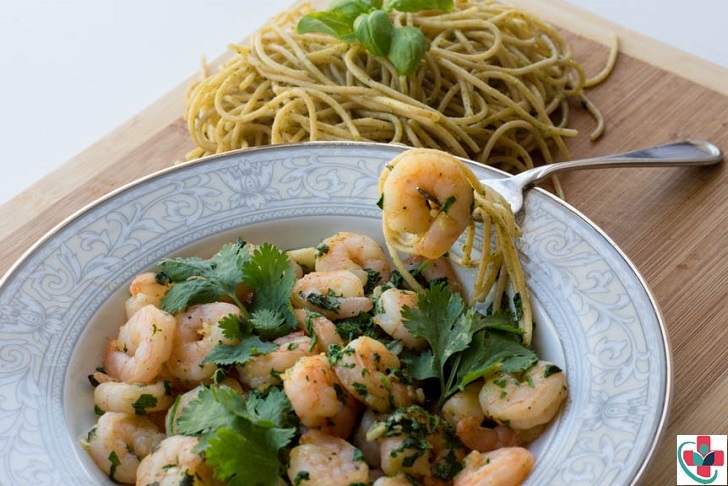 This is precisely how this delicious Cilantro Garlic Shrimp recipe came about. Everything I needed was in the fridge, freezer or pantry so, I took a few ingredients and threw them together. The result, something so delicious that it became a reoccurring goto meal on a busy evening. Now, let’s take that packet of Shrimp from your freezer to the next level. Of course, fresh shrimp will work equally well here. Heat EVOO on med-high heat. Add in the minced garlic and drop the heat as needed, so not to burn the garlic. Just warm the garlic through and flavor to oil, 30 seconds or so. Wash and pat dry the Shrimp, add to pan, increase the heat as needed. Cook for 2-3 minutes until shrimp turn to pick, flip over and cook the other side until pink. Add the cumin and pepper, stir for a minute. Add in the chopped cilantro and turn off heat. For a healthier option, serve on a bed of mixed green or quinoa salad. For a treat meal, serve alongside whole wheat pasta.